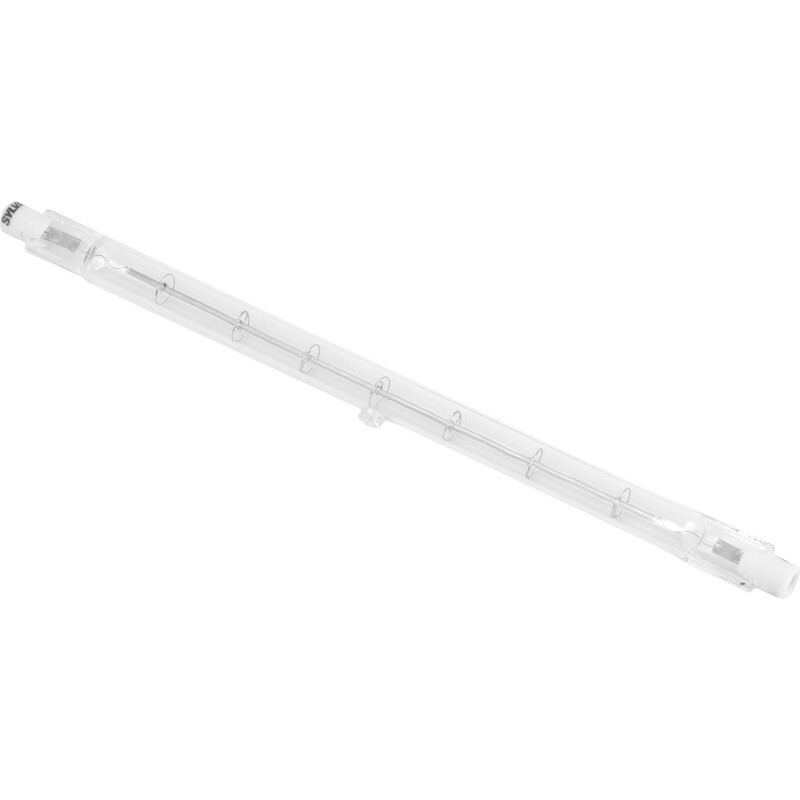 Sylvania Energy Saving Halogen Linear Lamp 120W 118mm 2250lm is rated 4.6 out of 5 by 14. Rated 2 out of 5 by brucey1 from nice looking unit This outdoor unit wasn't upto spec, leaked water in at seals and timer went faulty.. Sorry to say won't be purchasing this anytime soon. Rated 5 out of 5 by Zippysteve from Long lasting Lights the entire garden up beautiful. Rated 5 out of 5 by Grandpa Max from 120w halogen lamps Having had these lamp types in the past.They have given a long lasting service. Rated 5 out of 5 by Careful Shopper from Performs as it should. Not much one can say about this except that I removed the old faulty bulb and replaced it with this one and the light has worked perfectly ever since. It is too early to comment on the bulb's lifespan.